What is Rehabilitation? - Fabrication Enterprises Retail Sales Corp. Rehabilitation is the effort of a person to improve or get back to the ability they lost due to a disease or injury. It is necessary for people who want to gain back what they have lost, but it can be rigorous and take time. 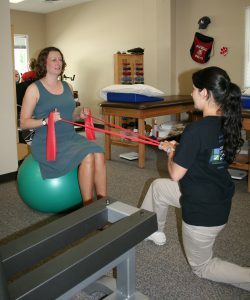 So before practicing rehabilitation therapy, it is important to know what it is involved and the goals behind it. For those who get rehabilitation, there is often a team of different health care professionals helping. These professionals or physical therapists will work with you to figure out your needs, goals, and treatment plan. Patients who come into rehabilitation therapy have various physical limitations and issues ranging from major surgery or trauma to chronic pain. To aid in whatever is physically ailing the patient, Physical Therapists will use various assisted devices and tools to help each patient in getting better. Additionally, rehabilitation does not stop at the physical level, Physical Therapists must prepare their patients mentally as well. Some patients might have mental trauma from losing their ability to do physical tasks. This trauma requires mental counseling as well as physical counseling to strengthen both the patient’s mind and body. Depending on your needs, you may have rehabilitation therapy in a medical professional’s office, a hospital, an inpatient rehabilitation center, or even at home. Physical rehabilitation at home can be more convenient and can involve people who are close to you. Family members or friends can easily join during these at-home sessions to help with your rehabilitation. The overall goal of rehabilitation is to help patients regain their abilities back after an injury or disease. Before starting a rehabilitation treatment, please consult your doctor. For more information on rehabilitation, click here.